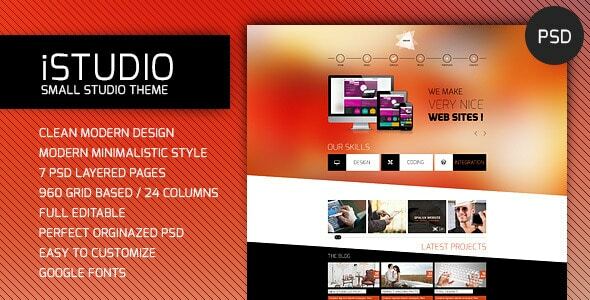 iSTUDIO – Portfolio PSD Template is a full layered PSD template. Its based upon 960 Grid framework. Clean, easy to read design. Theme is made with coding in mind so this theme is very easy and fast to code. HTML/CSS responsive version will also be available very soon. Your rates and comments are appreciated. Thanks in advance.